Download PDF version of release notes from here. 1. 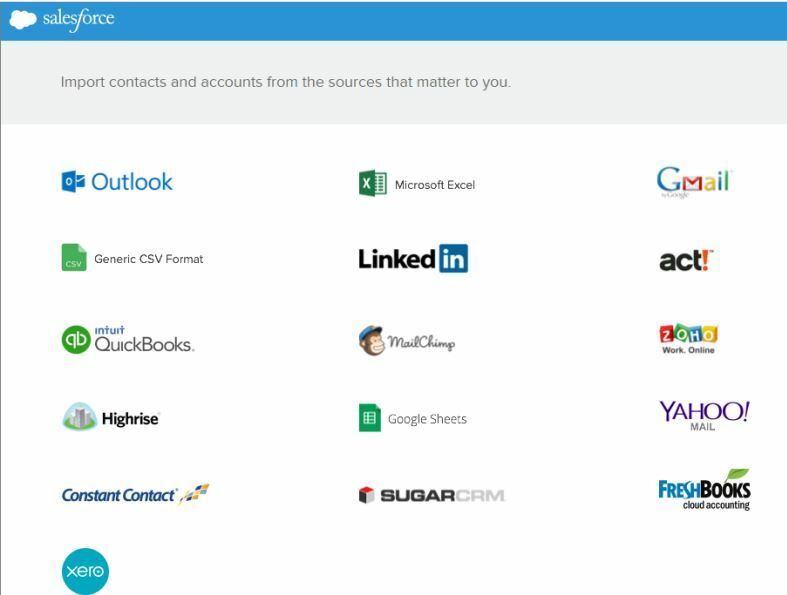 Import Account / Contact from 16 different sources (previously generic csv was only option to import). In this release, Salesforce has released new version of notes, which has many advantages over old like Create Standalone Notes, Relate same notes to multiple records, include bullet or numbered list, search only on notes, Create tasks from notes, Report on notes. To enable Notes – Build | Customize | Notes | Settings | Enable Notes. As you can see in image3, new Notes can relate to multiple records. From Spring 15, support agents now can use and run Macro to complete repetitive task and save time and efficiency of call center. In Service cloud console either press “M” or click on Macro Widget by clicking Macro on lower right corner. In case, if any organization needs to up 24×7 even during salesforce downtime, Administrator can set up secondary organization and enable Organization Sync. If primary organization is down then users will be redirected to secondary org. 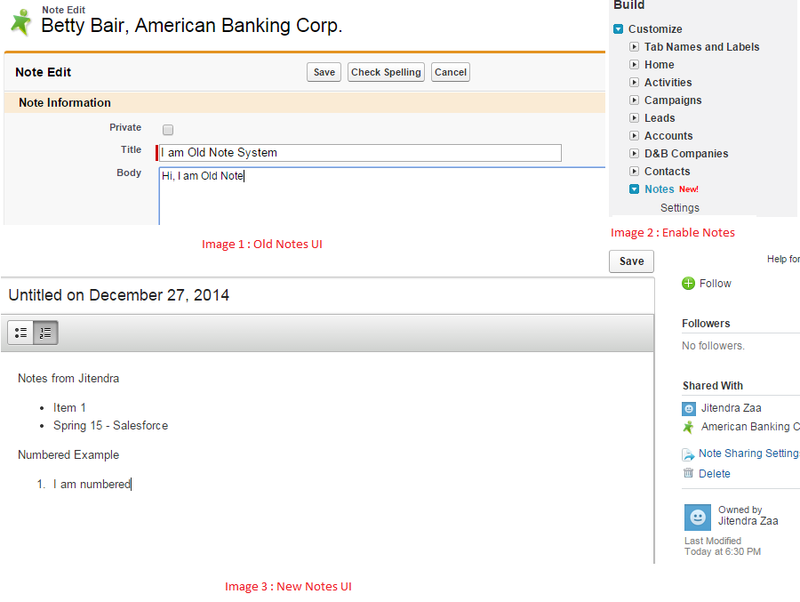 6.Record type and Pagelayout for Salesforce Files and 1ok Synched file limit for Salesforce File Synch. 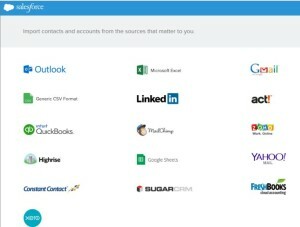 Salesforce Files now support Record Types and Page Layouts. Previously Salesforce File synch had limit of 2000 files and 500 folders only. Now we can moderate Private Chatter messages using trigger. We may use trigger to ensure that chatter messages confirm to company’s messaging policy. Also, now we can have more than one attachment in chatter post. Your users can now sign up for report notifications, to stay up-to-date on the metrics they care about most. Subscribe to a report and set the conditions that should trigger notification. For example, subscribe to an open-issues report and get notified every morning whenever there are more than 20 open issues. Notifications are delivered right to the subscriber, via Salesforce1 notifications, Chatter, or email. 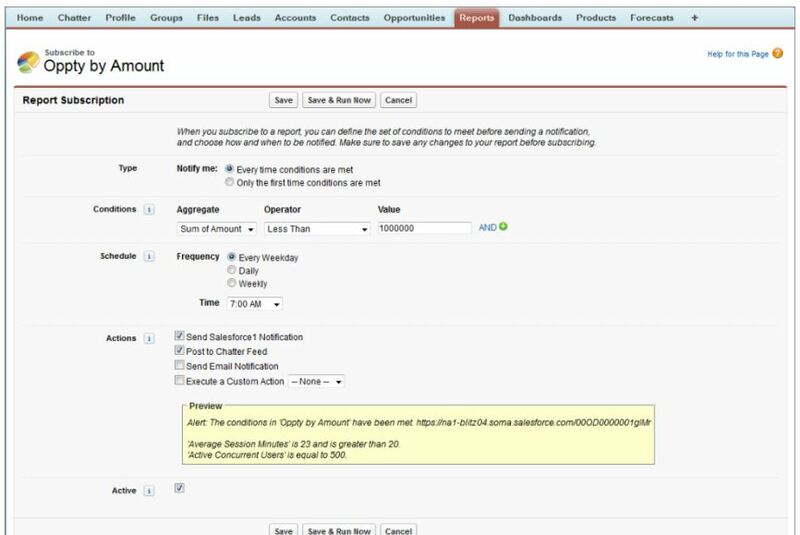 Users can even specify that a custom action–defined via Apex–be triggered. 10. 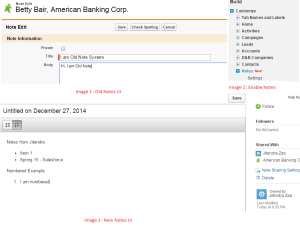 Now create or update records owned by Inactive users. 11. Field Audit trail is now GA. Retain field history up to 10 years. This is different than History tracking. Field history is copied from the History related list into the FieldHistoryArchive object and then deleted from the History related list. You define one HistoryRetentionPolicy object for your related history lists, such as Account History, to specify a variety of Field Audit Trail retention policies for the objects that you want to archive, then deploy the object by using the Metadata API (Workbench or Force Migration Tool). You can now use event monitoring to discover how often and at what times your users are logging in to and out of your organization. This capability helps you discriminate between valid and invalid login requests and track user login patterns for future reference. When a user logs in to a Salesforce account, the activity generates a LOGIN_EVENT event log file. Similarly, the end of a user session generates a LOGOUT_EVENT event log file. A session ends either when it expires due to user inactivity or when the user logs out of Salesforce. I am creating a web application using salesforce,in which unlicensed user can register and login. but i am not getting how to store a particular user’s complaint(using his record id) such that only he can view the complaint filed. I have master-detail but by using it that user is able to see names of all other users(which should not happen).